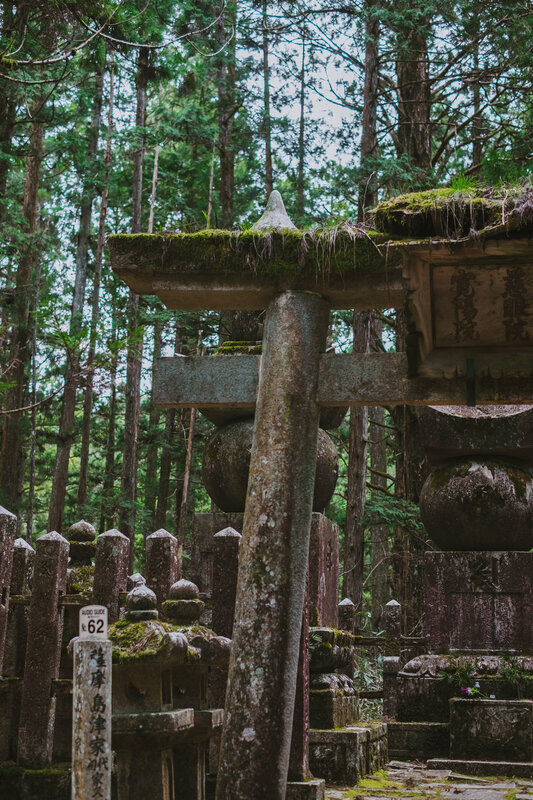 Tucked away in the small town of Koyasan, in the southern mountains of Honshu, lies a cemetery that is greatly important to the monks in the region. 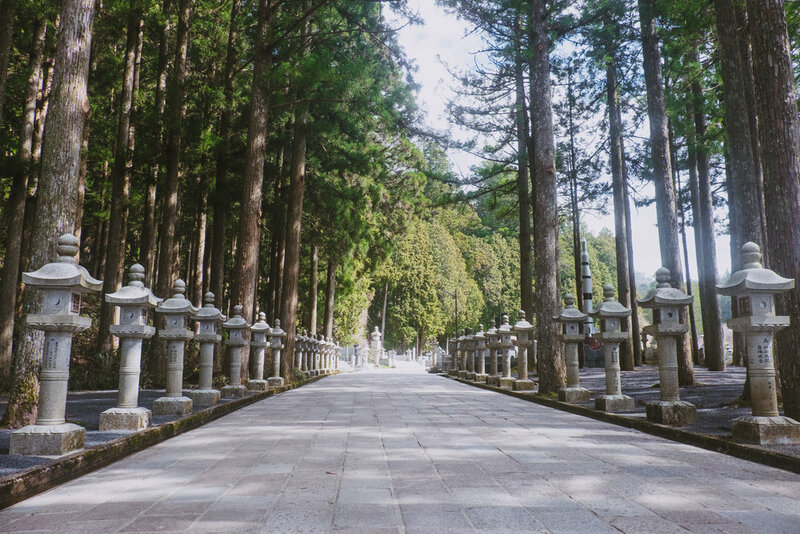 The cemetery lies under a blanket of deep green pine trees, with various paths creating a web of walkways that string out from the central pathway. 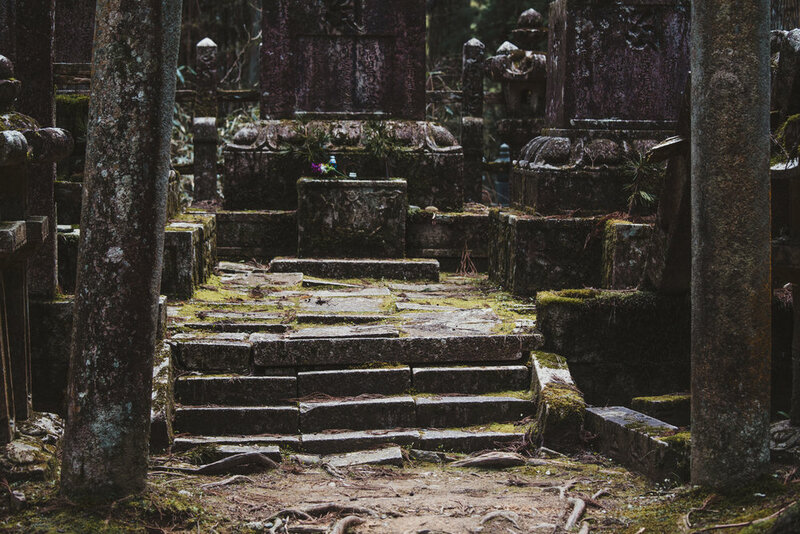 Small cobbled paths meander way into the forest before ending abruptly upon reaching a shrine of some significance. The result is a spiderweb of dead ends and isolated sanctuaries. 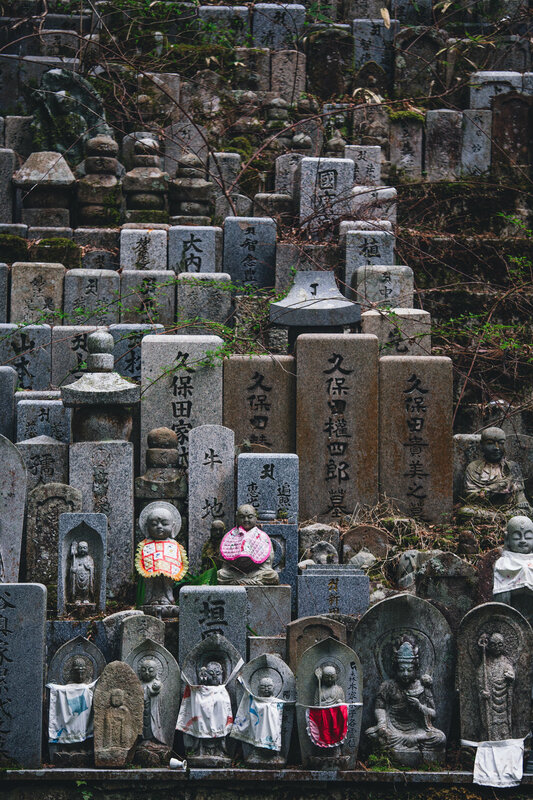 The shrines are adorned by small statuettes or large stone blocks representing the different elemental powers. The statued characters have often been residents of the forest so long that they are blanketed in moss like the trees that surround them, tucked beneath with their eyes shut in a restful meditation. Though the cemetery is a place to commemorate those who have died, the whole place feels alive. 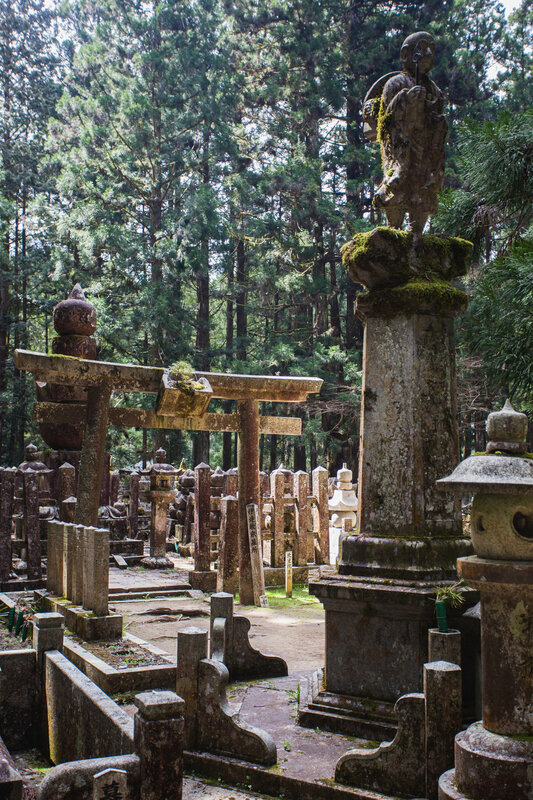 Even in the moments when you are alone, standing silently in the dim light that reaches the forest floor, you can feel the quiet persistent spirit of the forest and the shrines all around you.